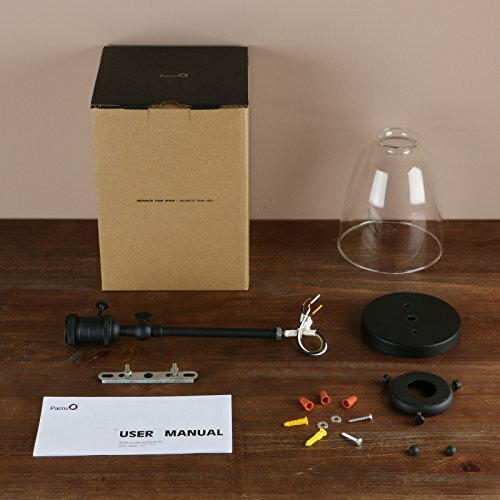 E26 screw base (bulbs not included), power: max. 60watt. 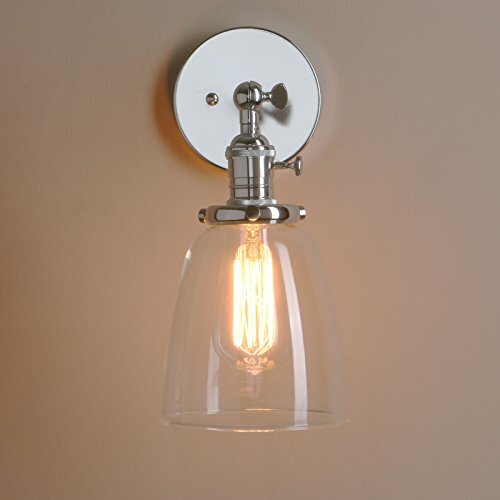 Design: Mini oval cone clear glass wall light, the lamp holder also feature a twist switch. Size: 5.6"(Diameter) x 10.2" (Height), 4.7" wall mount diameter. 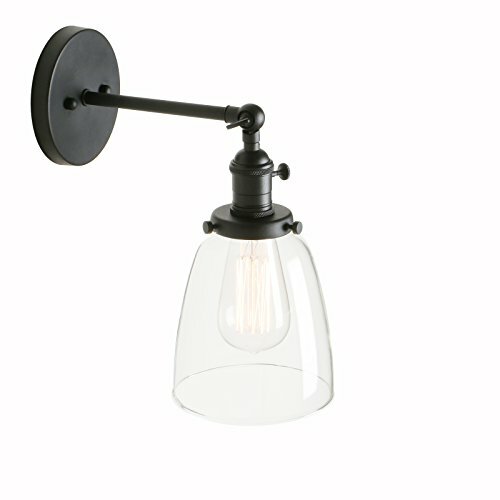 Adjustable rod to adjust fixture angle,180 degree rotated. 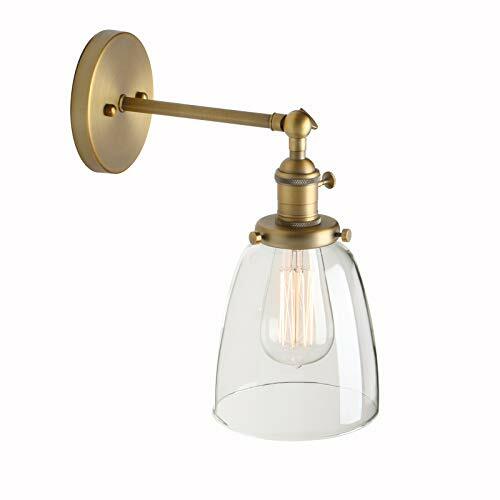 If you perfect funnel flared lamp shade wall light, please search the ASIN?B01LXMAJH1 Material: Metal lamp body and clear glass lampshade. 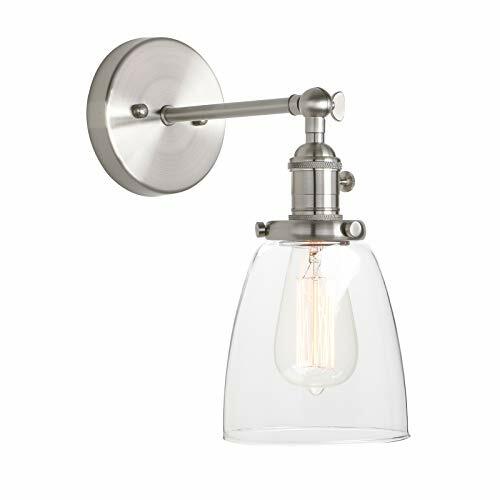 Classic simplicity clear body color with metal cap, clear glass shade reveals the bulb and maximizes its light.